Stock-market watchers, here’s an economic nugget for you: The unemployment rate for people with disabilities has reached 16.1 percent — its highest rate since January — compared to 9.3 percent for people with no disabilities, according to the U.S. Department of Labor’s third-quarter report. And one-third of disabled workers had been jobless for 27 weeks or more. While these figures are not surprising, there’s another now factor at play: The number of Americans with disabilities applying for federal disability benefits is going up, too. 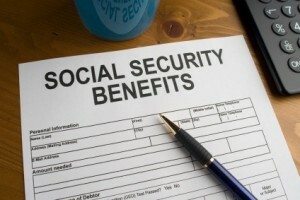 Applications for Social Security Disability Insurance benefits, or SSDI, rose 23 percent to 2.2 million for the first nine months of 2009, up from 1.7 million a year ago, according to a study by Allsup, a company that provides legal services for those seeking such benefits. The rise in claims is tied to unemployment as more workers with disabilities who are laid off during the recession for long periods of time are realizing they may be medically unable to retun to work, the study says. SSDI provides a good safety net for those 7.6 million Americans who cannot physically or mentally hold a job, but the program has its disadvantages. For one, it’s different than regular unemployment benefits, which sustain a person until he or she returns to the workforce. SSDI assumes an applicant won’t go back to work, even if they are young. Traditionally, the program has also limited a person’s ability to earn any side wages, such as taking a part-time job. In 2010, the monthly wage limit is $1,000 a month, or $1,650 for people who are blind. The good news is that these restrictions are getting looser. Under the new Ticket to Work program, there’s now a trial work option, where someone can test their ability to work and still collect SSDI. The government now works with agencies like Easter Seals and the United Spinal Association and lets people with disabilities return to work without losing all of their benefits at once. Ticket to Work will provide some relief to the economy. Like traditional Social Security for retired workers, SSDI is financed through U.S. payroll taxes at a cost of about $8 billion a year; benefits are calculated as a specific percentage of the applicant’s wages. And it’s well known that a Social Security deficit is expected by 2041 due to the number of Baby Boomers reaching retirement age. Even if you’re eligible for SSDI, the approval process can be grueling, with an average wait time exceeding five months due to a giant backlog of pending claims, according to Allsup. “Applying for SSDI is not a quick or easy experience,” said Paul Gada, a personal financial planning director for Allsup. At the end of the day, only around 35 percent of initial SSDI applications are approved. At those rates, going back to work may seem a lot less daunting.